It seems a lot of things are commemorated in October. 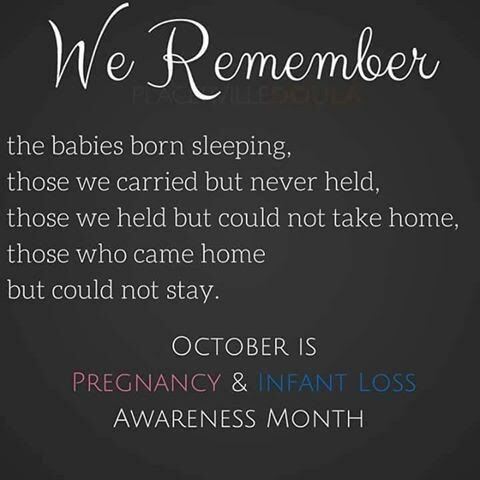 It is Pregnancy and Infant Loss Awareness Month, but October 15th is the actual date. If you visit the link, they encourage everyone to light a candle at 7pm and create a wave of light. 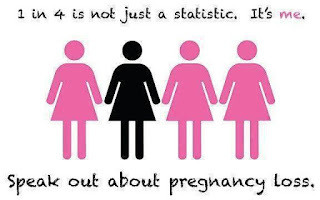 Four Pictos of women, three pink and one black with text that says, "1 in 4 is not just a statistic. It's me. 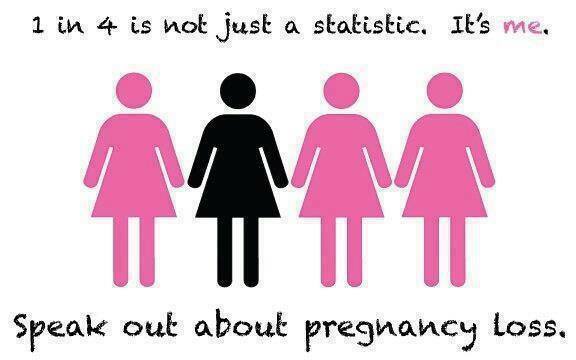 Speak out about pregnancy loss. I think it can be a time to acknowledge the difficulties some people have. I think it's a good time to share our stories and say the names of our lost children out loud. So many people suffer in silence because they don't feel they are allowed to grieve and talk about it. I've written many times here about miscarriage and I want people to keep talking so that they know they're not alone. Not only should we let others know they are not alone, we need to change the dialogue about the value of women. There are so many ways to mother without giving birth. The ability to get pregnant has no bearing on your value as a person. Too often people blame themselves and say they are "broken," "not meant to be mothers," or "not womanly enough." That's simply not true. We shouldn't be taught that motherhood defines our worth. When we get rid of that rhetoric, we can have more equality of the sexes, as well as more respect for the childfree. When we allow our vision of what motherhood is to expand and see the many forms it can take, our children benefit as well. Share your stories. Say their names. You are not alone. 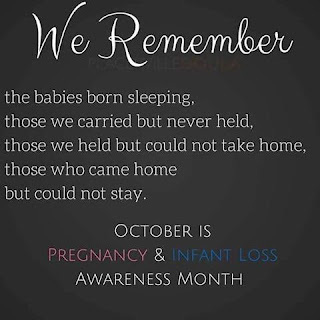 We remember the babies born sleeping, those we carried but never held, those we held but could not take home, those who came home but could not stay.